Being an adult can be quite stressful. Adults juggle extracurricular activities, family responsibilities, parenting duties, work pressures, household tasks, college, social engagements, romantic relationships, friendships, pets, etc. Wow, if you really think about it that is a lot! All of these responsibilities can zap energy, rattle nerves, tighten muscles, consume the mind, and prevent relaxation. Unfortunately, these bodily reactions can lead to a host of mental and physical health problems (i.e. high blood pressure, insomnia, anxiety, depression, fatigue, headaches, etc.). Thankfully, yoga can help you obtain the relaxation you crave. What is the purpose of yoga? Well, yoga is excellent for restoring your focus, concentration, and clarity. It can also reduce your stress, strengthen your memory, and improve your overall health and well-being. In other words, the goal of yoga is to help you find and maintain your point of focus (your “center”). More specifically, it helps you learn how to breathe deeply (mindful breathing), so that you can return to a healthy state of being (free of stress). What are some other benefits associated with yoga? Well, yoga can improve your balance, flexibility, tolerance, patience, and strength. Yoga is a stress-buster that can lead to a life full of happiness and peace. So, if you are wondering what yoga poses can reduce stress and improve your focus, you have come to the right place. This article can help you achieve the inner balance needed to be the well-rounded, peaceful person you want to be. 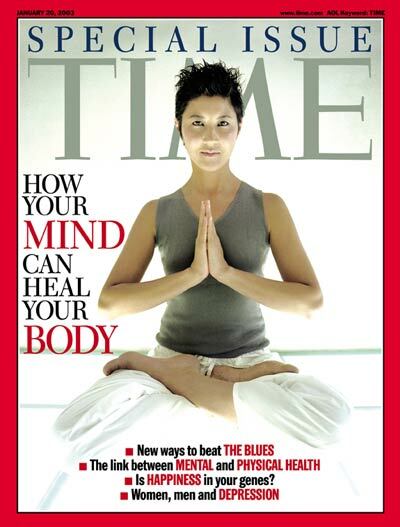 According to YIAS (Yoga in America Study), approximately 82% of American women, and 18% of American men practice yoga. In addition, the average yoga practitioner is between 18 and 44 years old (North American Studio Alliance, 2015). People, who are more sedentary, in nature and/or those who work at a desk all day are at-risk for muscle fatigue. They also have a higher risk of experiencing muscle pain and cramps. It is important that people exercise or move several times a day. Why should I move more? Well, it will boost your energy, lower your stress level, improve your focus, reduce your pain, and prevent your muscles from atrophying and your joints from stiffening. The benefits of bend and stretch yoga positions are numerous. The bend and stretch yoga pose can loosen your tight muscles and warm your entire body. Plus, it is not only relaxing and fun; it also helps increase your mobility by working on every aspect of your body. Practice this pose by starting out slow and gradually increasing your speed and level of difficulty, as you feel comfortable. Keep your movements as fluid as possible, smoothly transitioning from pose to pose. Increase your speed slightly with each repetition to get your blood flowing to your muscles and joints. The goal is to trigger Kundalini energy (positive energy). So, when you feel stress encroaching on your life and health, bend your body in various directions (i.e. forward, backward and to each side). If possible, also add some squats into your yoga routine. Repeat these stretches 15 to 20 minutes twice a day, every day. Over time, you feel more flexible, relaxed, and focused! A fun and challenging yoga pose that will improve your health and well-being is “Tip It Over.” This yoga poses helps to release pressure in your neck and spine, improve your clarity, revitalize you after a stressful and/or long day, strengthen your immune system, stimulate endocrine function, reduce anxiety and depression symptoms, boost your self-esteem and self-confidence, and help you relax. Some positions commonly undertaken when performing this yoga pose are: supported shoulder stand, supported handstand, and the plow. If performing a handstand, use caution and learn how to correctly perform it before attempting it during your yoga routine. If you like a challenge, you may want to try more advanced yoga positions that require persistence, patience, and tolerance (i.e. Scorpion or Feathered Peacock positions). If you are a beginner, you may want to start with less strenuous yoga positions like the: Dolphin, Downward-Facing Dog, or Legs-Up-The-Wall. Are you stressed, overwhelmed, anxious, or depressed? Are you suffering from a mental or physical health condition? If so, it may be time for you to chill out! What is “Chill Out!”? Well, it is a fun yoga pose that I’m sure you will enjoy. This Savasana Corpse position slows your breathing and heart rate, and eases tension from your “stressed out” body. It also revitalizes your mind and improves your mood. How can you go wrong with this pose? Well, you can’t! “Chill Out!” is a form of guided meditation that will zap your anxiety, and spark your fun, competitive nature. During this yoga session, you will be transported to a land of dreaminess that hinges on nirvana. At the end, you will feel rested, “calmer” and more focused. In fact, you will probably feel better than you ever have! Find a quiet, comfortable place, plop down on a yoga mat or oversized pillow, turn on soothing music (i.e. classical, jazz, or soft R&B), and breathe deeply. Try to “become a part of the music. In other words, let the soft music overtake you. End the session and re-enter “full consciousness” with the chime of a soft bell. The refreshing benefits received from this yoga pose will continue for the rest of the day.